Five ladies and a Russell playing on rock. 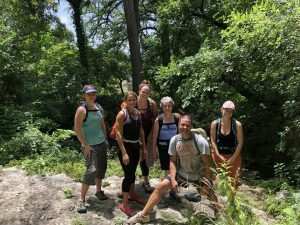 Five adventuresome women headed out to Reimers Ranch Park with expert Rock About rock climbing guide, Russell, for a day of challenge, excitement and fun. 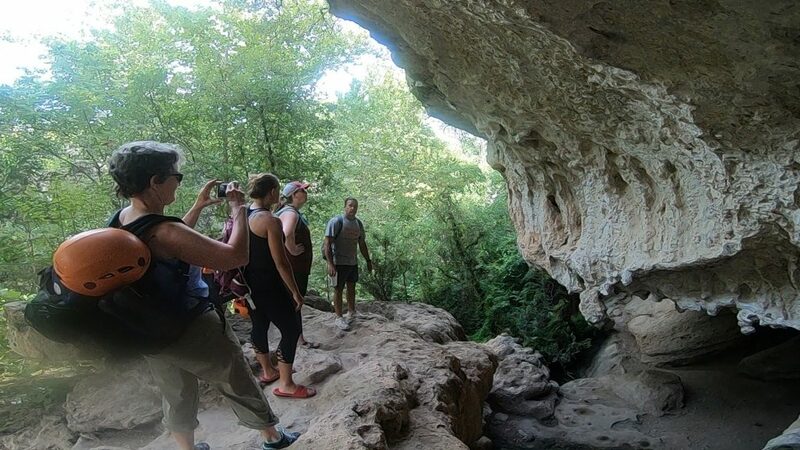 A short hike down the most amazing grotto type trail brought the group to the beginner and intermediate (5.6 to 5.9) climbs. Russell made the introduction to rock climbing entertaining and interactive while training everyone in all the necessary safety aspects of climbing. 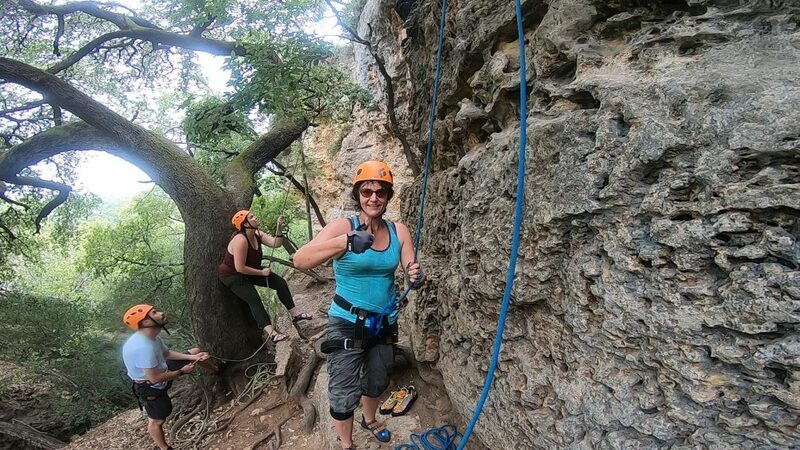 Everyone had a chance to belay (hold the rope for someone else) and climb multiple times. Rock Climbing can appear crazy who don’t know much about it, but the actual risk is low when facilitated properly. Russell taught and checked everyone’s skills before allowing anyone to proceed onto a rope and on rock. There are safety checks, and back ups to prevent anyone from having a fall. This sport has a high perceived risk, and therefore many women think they cannot do it. Hang out with us, and we’ll more than likely prove you wrong. 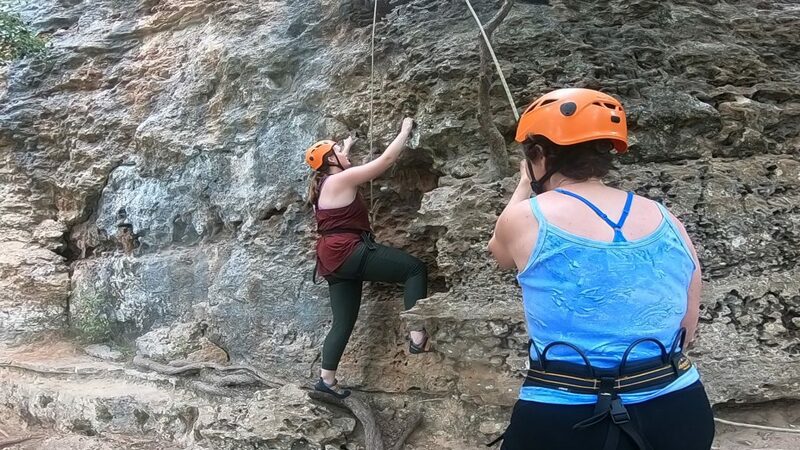 Lacey Klause who had never tried climbing before that day had this to say about the day, “I had so much fun with you ladies and Russell! I never thought rock climbing was something that I’m capable of, and now I know I can do it! Definitely want to go again sometime”. 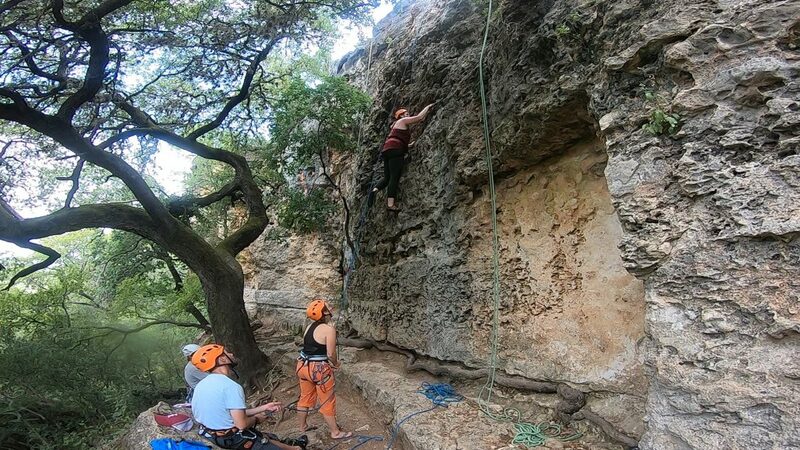 The four other ladies had climbed before but it had been years previous and refreshed their skills. The love of rock climbing was brought back into each heart during the day. With smiles and spent muscles, the ladies were left the park feeling empowered. We disconnected from digital and connected with mother nature. P.S. 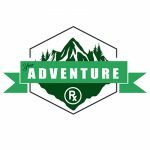 Have you taken our Adventure Prescription Survey yet? Take it now and help us plan our programs. **Remember space is limited on all adventures and we sell out, so be sure to book your place today!